(hHMGB1) was investigated using a protein-protein docking software, HADDOCK. treatment of HMGB1-RAGE-related diseases such as cancer and sepsis. due to their changing interactions with humans and their emerging pathogenicity. in a natural pond environment in spite of a seasonal succession of the phytoplankton. Many non-native algal species are found in waters all over the world. Many terms are used to describe such organisms that have expanded their distribution. 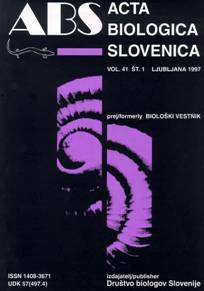 in Europe (Slovenia), as supported by light microscopy and scanning electron microscopy. Plant litter decomposition in intermittent dry and wet habitats sharedecomposition mechanisms of both dry land and submerged habitats. The aims of the present study were therefore to compare fungal communities on the decomposing plant material regarding the water regime of the location. Furthermore we wanted to evaluate the effects of the water regime on the decomposition in combination with fungal decomposers. Litter decomposition was followed on selected sites of Lake Cerknica with different hydrological regimes, using the litterbag method. The elemental composition of the decomposing plant tissues of Phragmites australis and fungal communities developing on the decomposing plant material were analysed. The hydrological regime has an important role in defining the fungal community of P. australis leaf litter. Water regime affected the fungal communities, which exhibited higher diversity under more stable dry or submerged conditions (in contrast to intermittent). Decomposition rates were more affected by the environment as by the fungal community diversity or composition. But, despite differences in the fungal communities the elemental composition showed similar patterns of enrichment due to decreases in the organic fraction of the plant tissue. and sprouts from treated seeds were not stressed by the treatments. the morphologically similar Echinogammarus, Marinogammarus or Homoeogammarus .